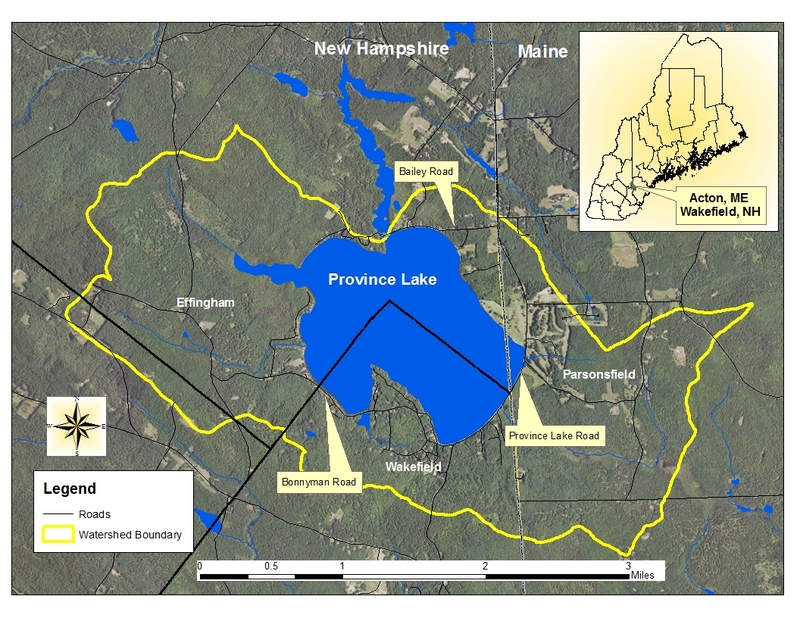 Province Lake is located in southern Carroll County, New Hampshire. The lake is approximately 968 acres and has a maximum depth of approximately 17 feet so there are no coldwater fish species in the lake. Three towns border the lake: South Parsonsfield, Maine and Wakefield and Effingham, New Hampshire. We are pleased that we have NO infestation of milfoil or other exotic species. as “partially non supporting” for the elevated levels of phosphorus and chlorophyll-a. Province Lake started a Lake Host Program program in 2012 with funding from the Towns of Wakefield and Effingham, NH Lakes, membership donations, and PLA fundraising activities. Province Lake also has a Weed Watcher Program, but is actively seeking more volunteers to be involved in the program as well as a chair person.